Pesando PM, Ghiringhello MP, Di Meglio G, et al. 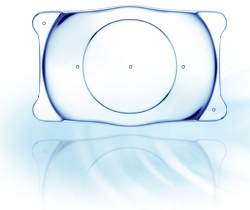 Posterior chamber phakic intraocular lens (ICL) for hyperopia: ten-year follow-up. J Cataract Refract Surg. 2007 Sep;33(9):1579-84. Igarashi A. Shimizu K. Kamiya K. Eight-year follow-up of posterior chamber phakic intraocular lens implantation for moderate to high myopia. Am J Ophthalmol. 2014 Mar;157(3):532-9.e1. 2013.11.006. Epub 2013 Nov 13. Copyright©2013 STAAR Japan Incoporated All rights reserved.